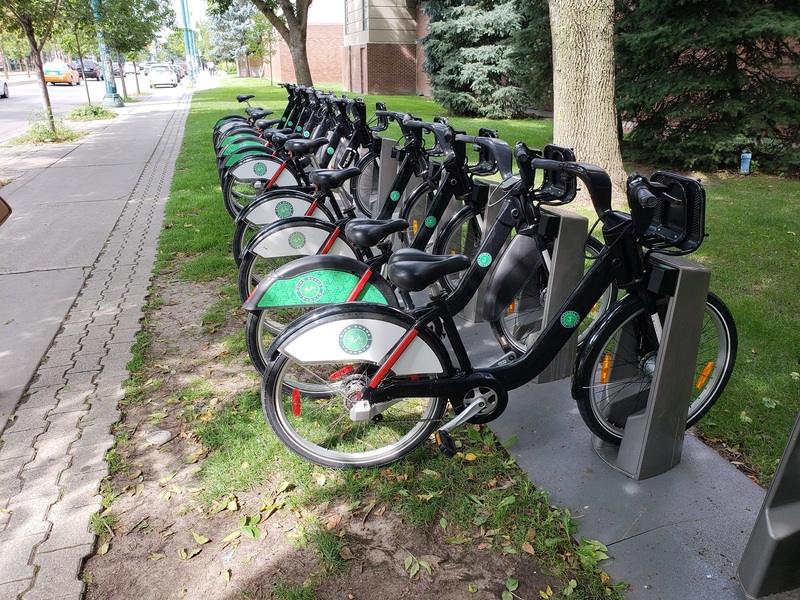 Getting around Toronto in an environmentally friendly fashion is important for a lot of downtown residents including our summer guests! 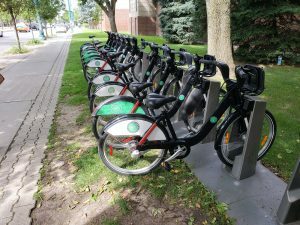 The City of Toronto has implemented a series of Bike Share stations around the city that make getting around a breeze. 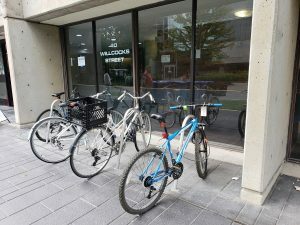 Conveniently for our guests, there is a Bike Share station right at Spadina and Willcocks to get around downtown hassle free. 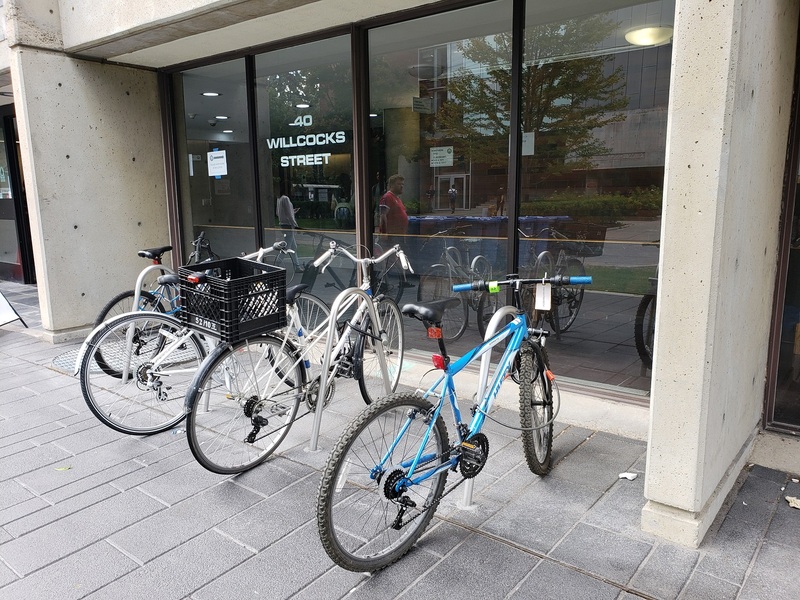 Also added to 40 Willcocks Street were new bike racks to help accommodate all our cyclists that stay at New College during the summer. This entry was posted in Uncategorized on September 6, 2018 by Aldo Sdao. The long anticipated Plaza Project was completed this year and it looks great! The renovation included the removal of the previous sidewalk, the installation of a new stone sidewalk with a canopy structure and seating. There is also new lighting added which gives the space a nice glow at night. This hot spot creates a great photo backdrop for our residents and those just passing by! This year we removed all of our older television sets and replaced them with brand new smart TVs! These new Smart TVs include applications such as Netflix, Youtube and Prime Video. These Smart TVs also connect via USB, so you can connect your laptop or other smart devices. Improvements have been made to all the communal rooms in our 45 Willcocks Residence. 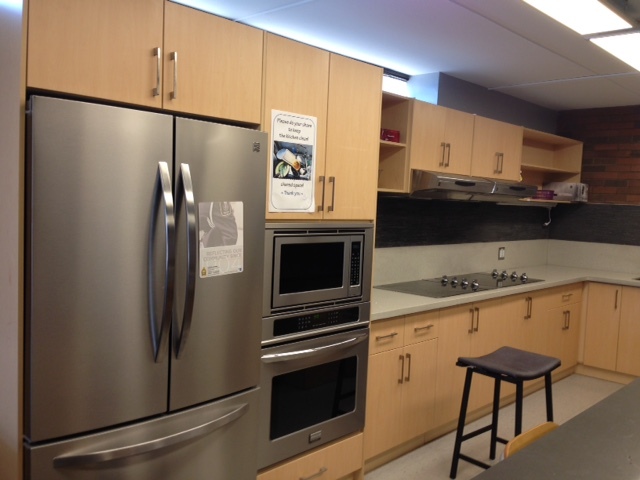 Exciting additions includes new cabinets, countertops, an island table and brighter lights. This year we had the opportunity to replace all the dorm room doors on the 2nd floor of Wetmore Hall.. 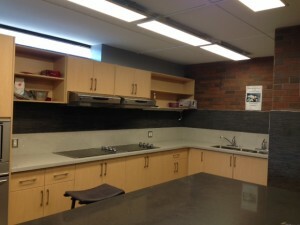 The new doors were also painted along with the hallways and dorm rooms to provide a modern and welcoming environment. 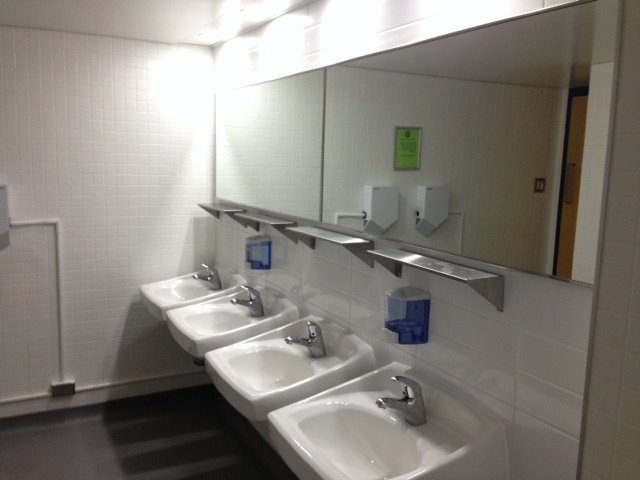 Besides painting the entire floor, improvements have been made to the 4th floor Wilson Hall shared washrooms. 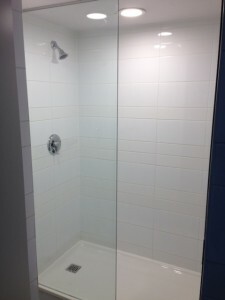 Exciting additions include new glass shower stalls, new flooring, and brighter pot lights. 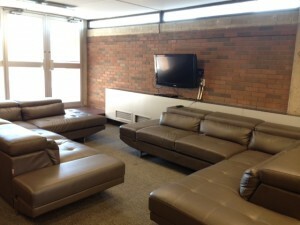 The 6th floor common room in Wilson Hall now features plush comfy couches and a 70” flat screen TV. 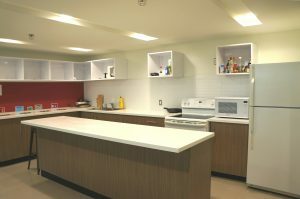 The common kitchen appliances are upgraded to a stainless steel fridge, stainless steel oven and modern flat stove tops. The extra counter space and cabinetry is an added bonus for guests who frequently use the kitchen. 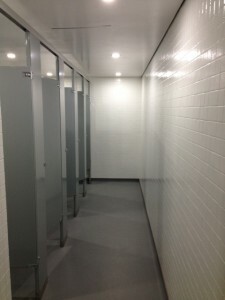 We will continue similar upgrades to other floors at New College as needed on a yearly basis. New College is committed to holding our facilities and services to the highest standards. We look forward to continuing to share with you updates of the progress of our ongoing renovation projects! This entry was posted in Uncategorized on December 7, 2015 by Aldo Sdao. As part of the our continuous efforts to improve the guest experience, New College is pleased to offer free Wi-Fi Internet Access in most guest rooms, meeting spaces, and common areas. This complimentary service will be in effect starting May 4, 2015. 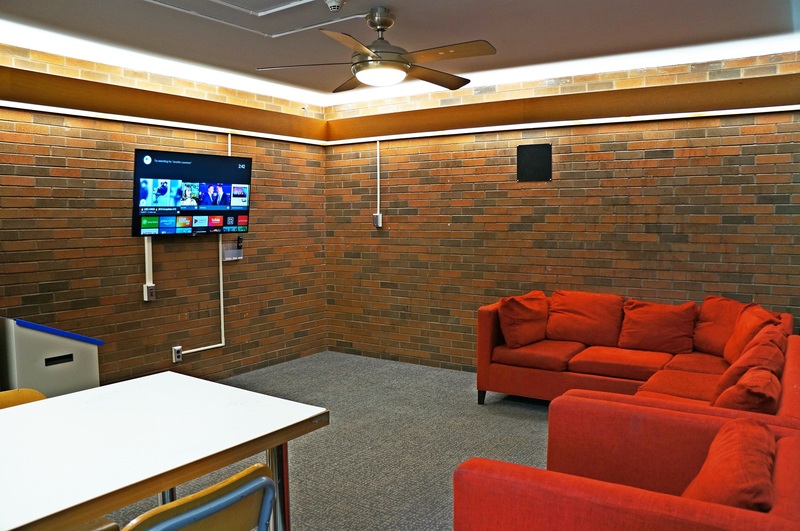 New College recognizes the importance of providing complimentary wireless Internet access to our guests and visitors. Whether relaxing in one of our common rooms or kicking back in the comfort of your room, surfing the web just got easier and cheaper! Wired network connectivity will remain available in all guest rooms. Guests can connect to the Internet using an Ethernet cable. Forgot to bring an Ethernet cable? No problem, we offer Ethernet cables at the front desk (for a fee). For more information and to obtain the wireless password, please see the Front Desk on arrival. This entry was posted in Uncategorized on February 5, 2015 by Aldo Sdao. This past winter, New College introduced electronic device charging stations in the three main lounges (Wetmore Lounge, Wilson Hall Lounge, and 45 Willcocks Atrium). Guests can now stay connected to their family, friends, and work without facing the daily struggles of finding a power outlet or adapter for free. 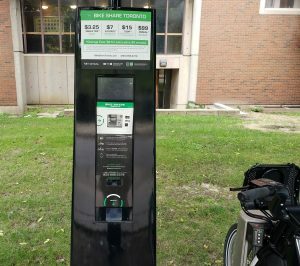 The charging stations are compatible with most electronic platforms including laptops, iPhones, Blackberry, Android, iPad, Kindle and digital cameras. A big step towards sustainability! From the establishment of the first residence building, New College has been committed to growth. The personal growth of our community’s diverse and dynamic members and our growth as an institution have remained priorities; our dedication to improving our environmental performance is the latest testament to this commitment. 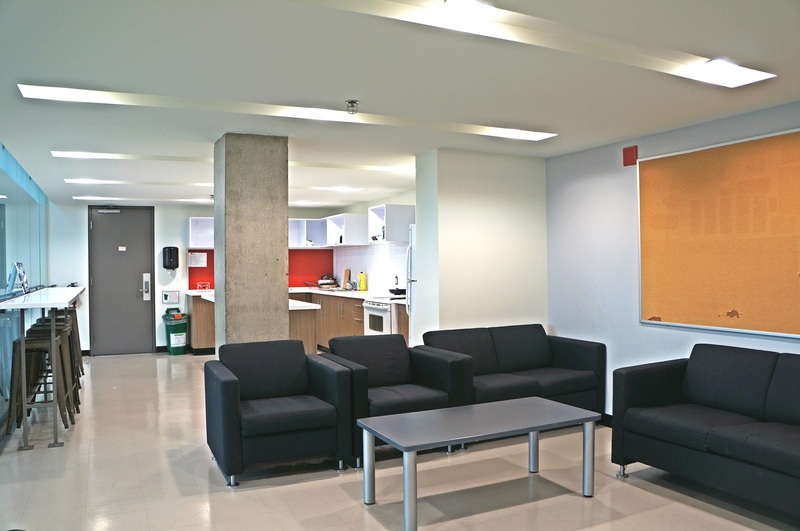 A series of renovations have transformed the College’s physical spaces over the last five years allowing for the implementation of sustainable practices such as water and energy conservation, solid waste management, community outreach and indoor air quality management. By incorporating sustainability goals into the planning process for all renovation and construction projects the College has been able to reduce environmental impacts through reduced utility consumption. Our green projects have targeted the entirety of the college. The cafeteria’s windows have been fitted with a solar film to reduce the amount of heat absorbed from the sun in the summer thus decreasing the need for air conditioning to regulate indoor temperatures. Solar sensors have been installed to detect natural lighting levels from the sun and accordingly adjust indoor lighting to minimize energy consumption. Five filtered water bottle refill stations have replaced pre-existing water fountains. Coupled with a policy against disposable water bottles, the stations have saved over 110,000 to date. 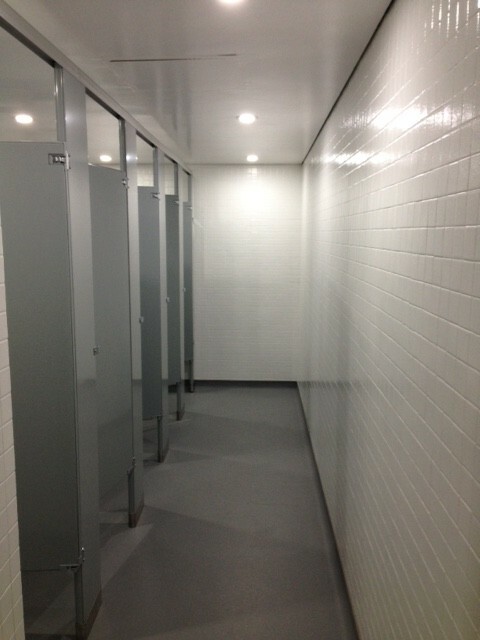 Bulbs throughout the college have been replaced with LED bulbs in order to conserve energy. It is this commitment that has earned New College a ‘4 key’ rating (out of 5) from the Green Key Eco-Rating Program this winter. The program is designed to recognize accomplishments in environmental management and corporate social responsibility, with thousands of organizations participating across North America. New College is committed to improving its sustainability efforts and reducing its footprint and it is our hope that our continuing dedication will allow us to win the elusive ‘fifth key’ quite soon. This entry was posted in Uncategorized on January 23, 2013 by Rick. 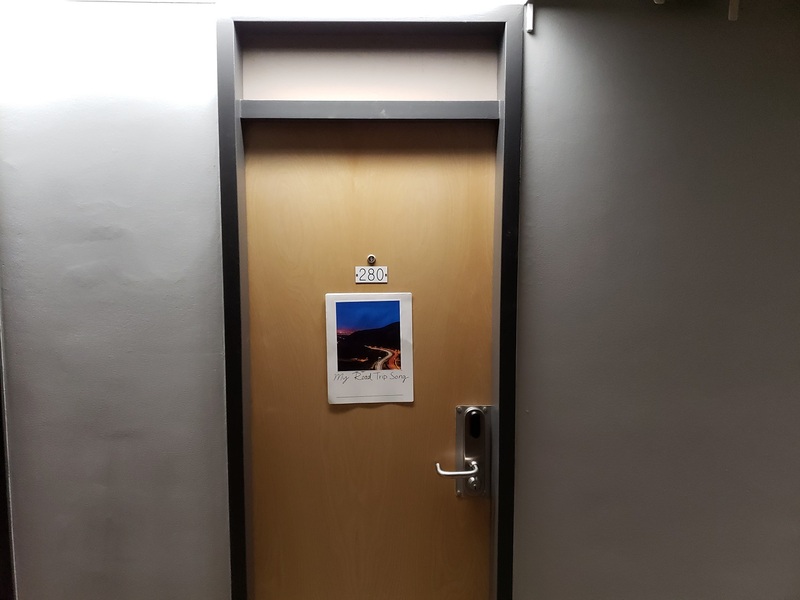 New College’s front desk and entrance (located at 40 Willcocks Street) has been renovated this past winter in order to improve service, accessibility, efficiency and over all customer experience. The front desk has been equipped with 2 windows for quicker service, improving our accessibility to our guests. The expansion of the front desk space allows for more storage and additional computer terminals thus improving our efficiency and cutting down on guest wait times. 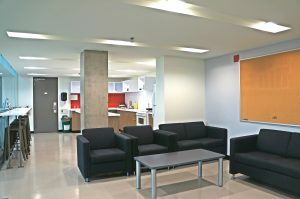 These wonderful renovations to the front desk have served to further enhance the other convenient services offered such as transit TTC token sales, stamp sales and the provision of various University of Toronto and Toronto Tourism maps. We look forward to seeing you there soon! All three of our residence halls now boast brand new elevators for our guest’s convenience. The elevators in our residences are all well lit with LED lights in order to reduce energy consumption. 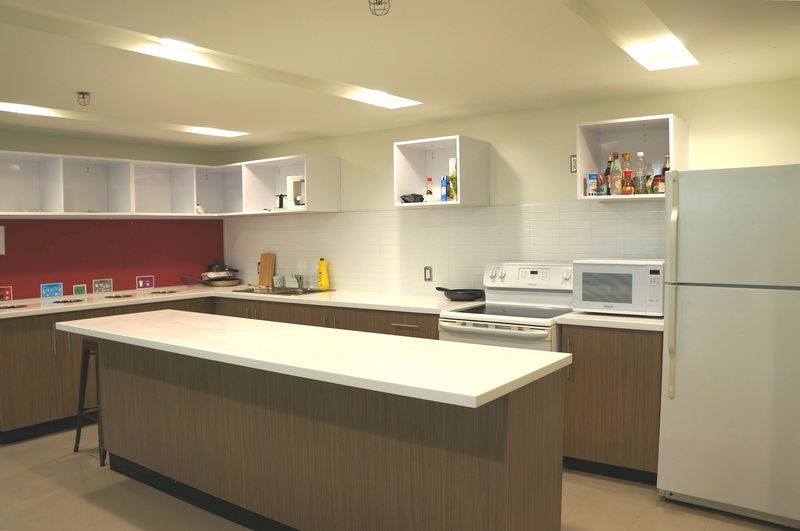 They provide ample space to facilitate the move-in and move-out process. Additionally, they are now conveniently operated on a fob key (as well as all the stairwells). Guest security, convenience and experience is our priority and we hope you will make use of these great improvements!